Join us Monday, Febraury 18th to help us celebrate 3 years of Clique! 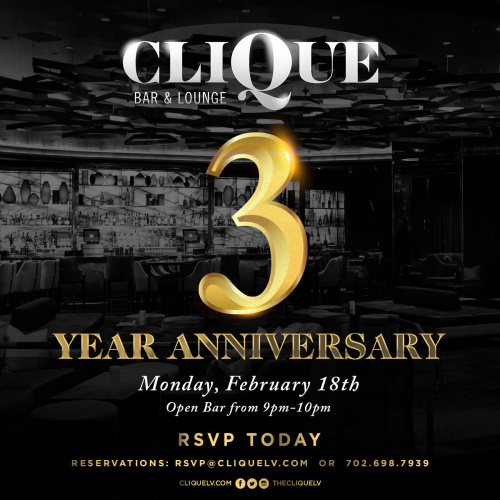 In the past 3 years Clique has quickly become one of the most exciting and sought out lounges in all of Las Vegas. In order to properly celebrate we need all of you to attend who have made Clique what is today!